Hi, welcome back to Literacy Musing Mondays. This week we have a great guest post about the importance of reading in community. I hope you enjoy! Note: This guest post contains Amazon affiliate links which means Tina will make a small commission if you click through and buy something. We include these for your convenience and to support her on-going ministry in Southeast Asia. Thanks for your support. For many of us, reading can be a very solitary experience. Unless you do a lot of reading aloud with others, reading is something you probably do alone. You may be in the same room with your family, all reading different books so you’re together, but in some ways, you’re still alone. You are experiencing a whole different world on your own. And it’s so much fun! I personally wouldn’t trade the experience for anything. I love to lose myself in a whole new world! And one of my favorite things to do when I read is look for evidence of God’s imprint on humanity. I love reading Christian fiction where the authors intentionally include God’s workings in their stories, but I also love reading secular books and hunting for little glimmers of glory and analogies of redemption. And when I find them in any genre, I feel desperate to share them with someone! I think it’s so important to have people you can talk about books with. Not only so you yourself don’t explode but so that you can see things from different perspectives. Even though I’m always on the hunt for glimmers of Truth, I miss them quite often. And I love it when a friend is able to point them out to me! I always want to run straight to the book and read it immediately, even if I’ve already read it! This is one of the main reasons I take part in linky parties like Literacy Musing Mondays, and why I started my own weekly book linky party – Booknificent Thursdays on Mommynificent.com. I wanted to create and be a part of a community where people who love books can talk about them with other book-lovers. I have learned so much from reading the thoughts of other book bloggers about the books they are reading. So thank you for writing about what you read, and thank you for listening to me talk about what I read. You are such an important part of my journey. And please consider yourself invited to Booknificent Thursday this week and every week! We’d love to have you! Tina Chen is an island-loving mom of five fun kids. She currently lives near a beach in Malaysia but has also called Bali and the Cayman Islands home since leaving her land-locked hometown of Kansas City. Her greatest passions are learning with her husband how to live and love like Jesus and teaching others to do the same. She particularly enjoys teaching kids to worship and pray fervently and creatively. She loves music, cooking, and reading, and is a complete sucker for a good redemptive analogy! Tina blogs at mommynificent.com and desperatehomeschoolers.com about living and homeschooling in Southeast Asia. I so agree with Tina. I join her wonderful reading community too at least weekly. Reading, I think is synonymous with learning and literacy. I also add writing and blogging to my definition of reading. Our community has grown so much in the almost 15 months since we started the link up. I want to continue to grow our community and encourage even more interaction. That is why we are going to start honoring the person who comments the most each week on other people’s blog posts linked up with Literacy Musing Mondays with a special feature and thank you across all our social media channels. To participate, you just need to email me the number and title of blog posts that you commented on each week by midnight on Fridays. All our Literacy Musing Monday readers are invited to participate. We are going to have a special contest the week of February 15 for a copy of If I Run and a $10 Amazon gift card. I will have more specific rules for that contest next week, but you do not have to be a blogger to earn the “top commentor” of the week honor or win next week’s prizes. This week will be a practice run; so start commenting and keeping track of where you commented and email your report to marykatbpcsc45 @ gmail (d0t) com by midnight Friday. Let me know what you think about this additional feature to our link-up too in the comments below. Also on another note: I have learned how to create a separate email list in MailPoet for just Literacy Musing Monday reminders! At the bottom of the post today is a MailPoet opt in form if you want to continue to receive these weekly reminders. Starting March 1, I will send my weekly reminders to those who have subscribed using MailPoet and cease sending them through my personal email. You will be able to opt out at anytime with MailPoet without sending me a request after March 1. Please opt in by March 1; so I can keep sending your reminders. I want to keep you up-to-date on Literacy Musing Mondays info. Cathy always picks the most fascinating books to read. 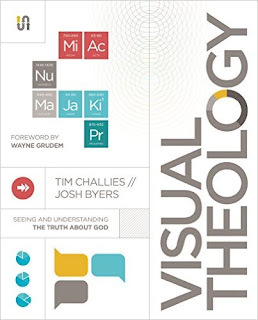 I really found Visual Theology enticing too. It is going on my To Be Read bookshelf also. Be sure to check out the rest of her post for your own future reads. 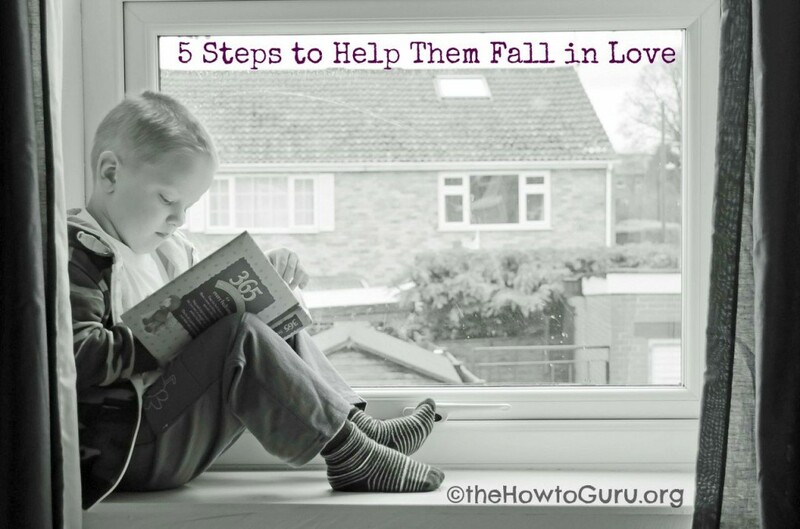 Favorite quote from her post: “So what if kids under your influence need help to fall in love with books? There’s always hope. Shan blended excellent story-telling that made me cry with practical tips on how to encourage your children to fall in love with books and reading. This post is a most read! Be sure to visit the other co-hosts’s pages to see if your post was selected as one of their favorites for the week! Remember to share any ideas you have to improve the Literacy Musing Mondays community in the comments section below. We can’t wait to read your input! Thank you so much for sharing with us at Sitting Among Friends on Wednesdays. I love this linkup party and am glad that you have stopped by to share it with my readers. I am sure they will also find it such a great read. Thanks again for hosting…and stopping by at Coffee & Conversation this week!! It is a wonderful thing to read a book and be lost in another world. It’s even more fun when you do it with others! I recently took part in my first online book club group led by Deidra Riggs. It was really good to be able to discuss things with others and see their veiwpoints. Reading growing up was a life-saving thing – in many ways – and the books showed me different places and took me there, out of my own story, into another. I think that’s why I’m such a fan of 19th century literature – hope and faith – and making the good hard choices made a difference – and I needed that! I’m going to look around. I teach English so I can force kids to read books I like and then discuss the books with them ;). Just kidding. Sort of. I love seeing kids fall in love with books–they mostly get to choose their own books, but we talk a lot about what they’re reading and occasionally I read a book out loud to them! I am a reader and I love it but have found that I don’t give myself long periods of time anymore to really get lost in a book. BTW-I loved Dear Mr. Knightley and would also highly recommend it. Thank you for sharing here today. Mary Geisen recently posted…Is God the Touchdown in Your End Zone? Mary, Thank you for sharing this space to link up with us every week, and for sharing Tina’s post today. Tina, I love your pic. Adorable. I mostly read non-fiction and Rev loves to add fiction to his reading time. Then we share the adventures with each other. It is a wonderful to connect as you learn what parts of the story really resonate with the other person. May you both enjoy a blessing-filled week. Hey Tina, it is so fun to see you here! She is a blessing to many. Ifeoma Samuel recently posted…For the Woman Who Struggles with Acceptance By Dawn Boyer. Tina is one of my heroes! Also, thanks for sharing my blog post here on my 5 future reads! Exciting that it was your top clicked post!